Prof Piet Koornhof can certainly flaunt the acclaimed CD recordings to his name. Not only have his performances evoked impressive praise from The New York Times, Feuille d’Avis of Neuchatel (Switzerland), The Cape Times, and the Natal Daily News (amongst others), but he boasts having recorded the complete JS Bach trio sonatas for violin, flute and piano and the Hendrik Hofmeyr Double Concerto (for flute, violin and string orchestra) with Rafaele Trevisani and the Moscow Chamber Orchestra. 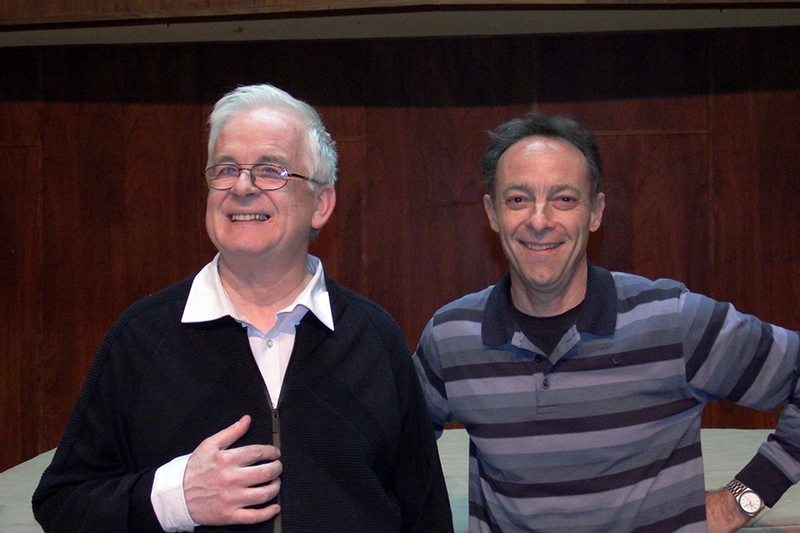 Quite recently, Prof Piet and Prof Nicol Viljoen, who is a recognized pianist (and the former head of the Odeion School of Music in Bloemfontein), joined forces to record some of the Mozart sonatas. 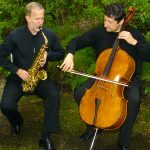 They have performed together on numerous occasions, giving performances of works by Mozart, Beethoven and Brahms, and together are known for their perfect execution of challenging classical works. 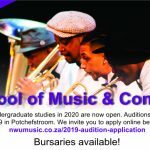 Prof Nicol himself is a powerful inspiration as a musician and as an individual. As a pianist, he is quite extraordinary, especially considering that he suffers from almost complete blindness! Only having about seven percent vision in both eyes, Prof Nicol is unable to drive a car or perform other mundane tasks (such as signing his name, for which he uses a stencil). But, amazingly, he still plays piano with proficiency (yes, what’s your excuse?!?) 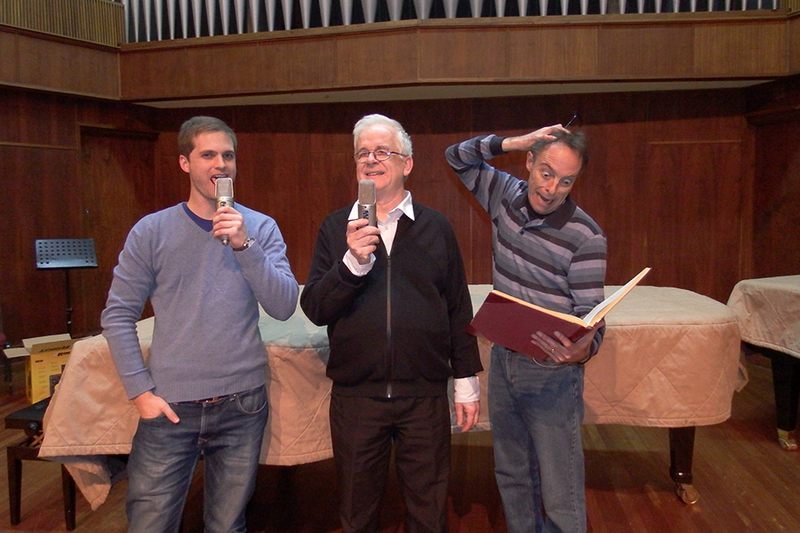 As Prof Piet went on to explain in our interview, Prof Nicol simply learns his music by ear or checks a note by bringing the score really close to his eyes. 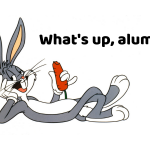 There is never a dull moment with Prof Piet around! Hmmm, I wonder if it’s Mozart he’s going bananas about? 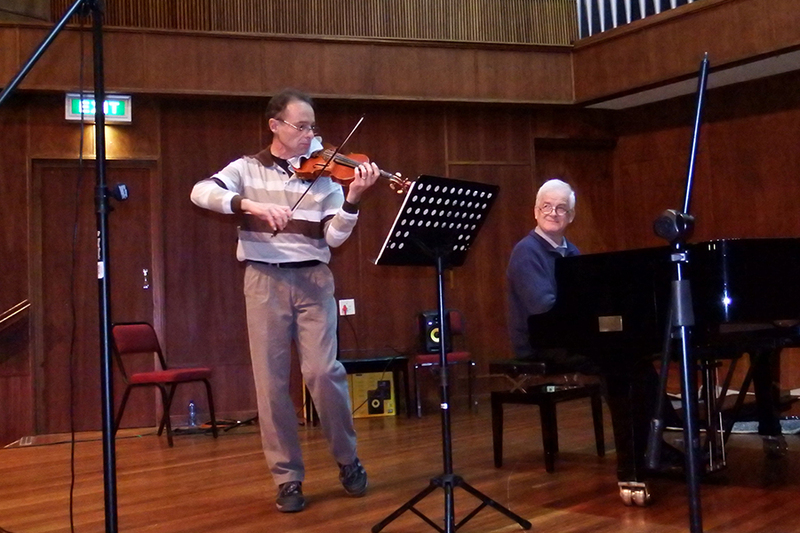 On the very left is Stefan van der Walt, an engineer and a violin student of Prof Piet. Stefan was also the sound engineer for this recording.